Every year, thousands of vets return from serving their country and re-enter the civilian world. Many of these vets return injured and disabled from their service. This transition can be difficult, and often seems impossible. These heroes are trained to be self-sufficient; to help themselves. But for many, the task of returning to civilian life is too daunting. 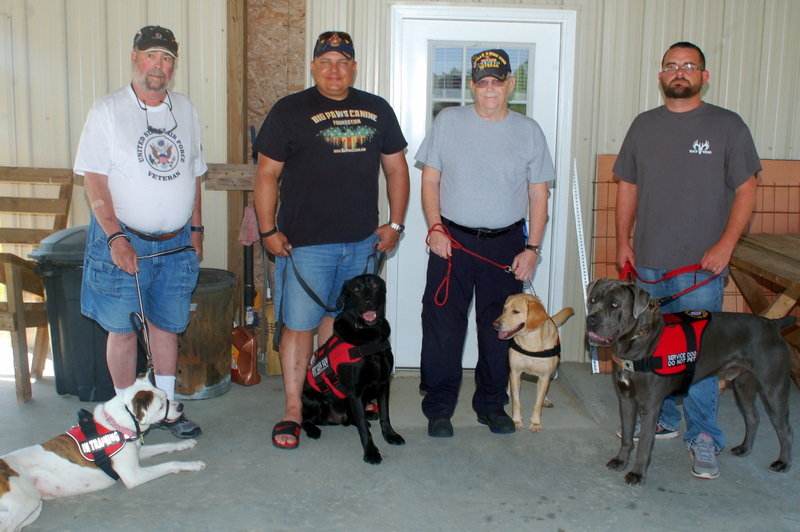 Big Paws Canine Foundation’s goal is to become the premier provider of trained assistance animals for Disabled Veterans and Former First Responders. The Organization aspires to carry a reputation in the marketplace for complete service, non-stop support and assistance to Disabled Veterans and Former First Responders. This will be achieved by having highly trained dogs, well trained volunteers, and a belief system that every Disabled Veteran and Former First Responder is the reason that the Organization exists. 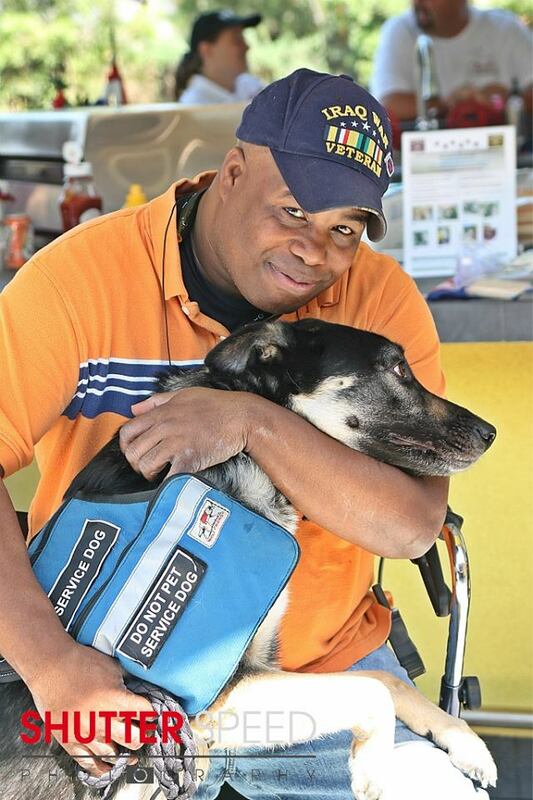 The Founders of Big Paws Canine are Former Service Members themselves (one being a Disabled Veteran) and have found it difficult to get the support and assistance they need with their transition into civilian life. With the belief in this great Country and understanding what it means to support and defend, the Founders are making sure their support of the current Defenders of Our Freedom obtain the help they need during what can be a very difficult transition. Big Paws Canine is not only committed to training the best Service, Therapy and Companion Dogs for Disabled Veterans and Emergency First Responders, but we are currently working with other companies to sign a pledge to confirm their support of employing Veterans and providing assistance. Big Paws Canine is a 501 (c) (3) non-profit and currently is located in California, South Dakota, and South Carolina. We are looking for partners to help achieve Big Paws’ mission. These can come in the form of financial support or as a simple pledge. Donations will enable Big Paws to provide Service, Therapy and/or Companion Dogs and training to our Heroes who need it most. The pledge is very simple – that your organization will work to put disabled veterans back to work, allowing them the opportunity to once again make a difference. Let’s get these vets some well-deserved assistance, and help them back into everyday life. 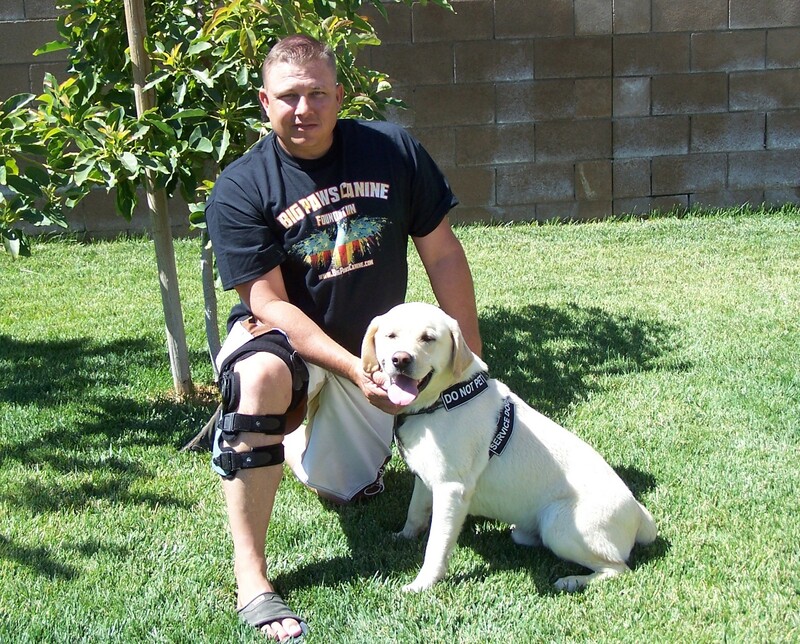 As we rely entirely on donations, fund raisers and merchandise purchases, your assistance enables Big Paws Canine Foundation to provide Service, Therapy and Companion Dogs and training to our Heroes who need it most. No one takes a salary and all dogs are provided for only $1 and charged only $1 a month for training throughout the life of the dog. Big Paws Canine Foundation’s mission is to provide Service, Therapy and Companion Dogs to Disabled Veterans and Former First Responders, such as Peace Officers and Firefighters injured in the line of duty, while creating jobs and volunteer opportunities through education of the community.